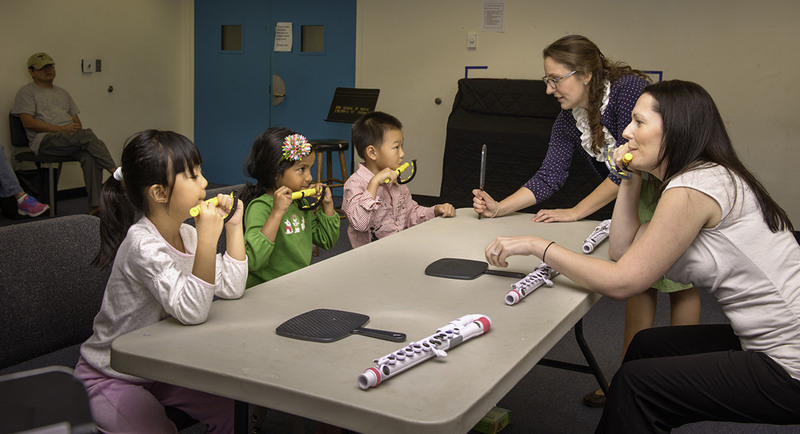 Children ages 4 throughout 5th grade explore the flute and flute playing in group classes. Give your child a head start in music making! 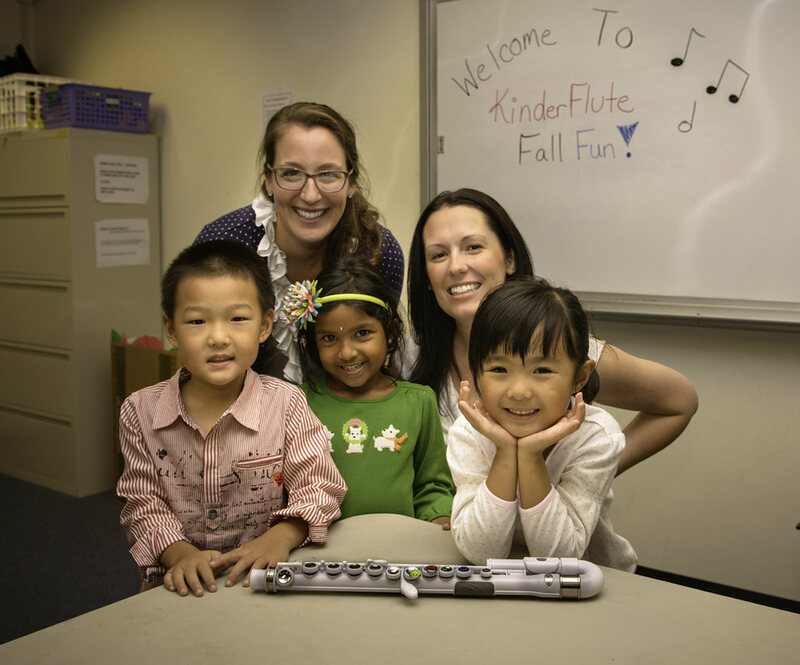 KinderFlute is designed to teach young students to love music and learn to play the flute. 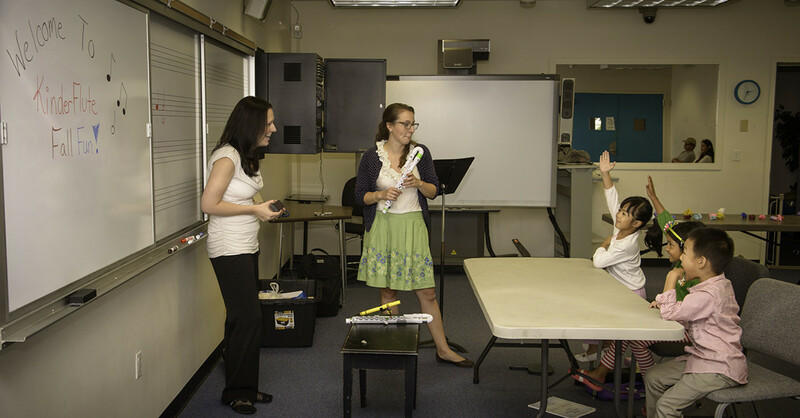 KinderFlute, developed by Kathy Blocki, is a method designed to effectively teach students to love music and play the flute from an early age. 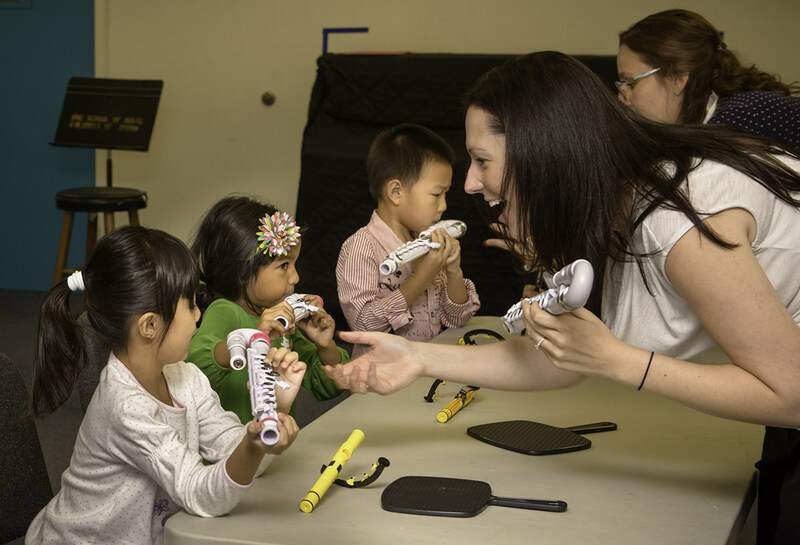 KinderFlute is intended to make playing the flute and understanding musical concepts both accessible and fun for children. Students benefit from weekly group classes and one-on-one lessons with the instructor. 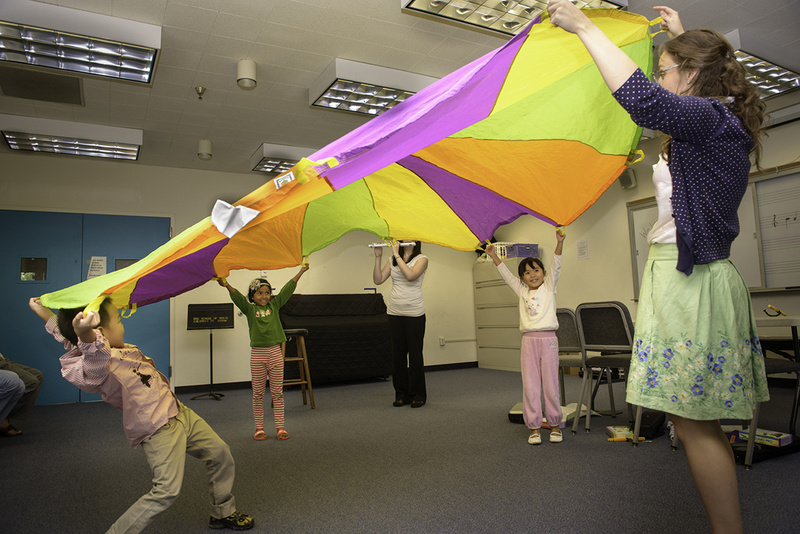 Incorporating games, movement and improvisation exercises from my research and training in the KinderFlute and Dalcroze approach, group classes are carefully planned to maximize each student’s learning potential and musical development. To learn more, visit blockiflute.com and dalcrozeusa.org. For children ages 4 through 5th grade. Includes a weekly 30-minute private lesson and weekly group class. A NUVO flute is recommended or a metal student flute with curved head joint. Specific recommendations are made on a student-to-student basis after the intro class. For more information call 803-777-5381 or email kinderflute.columbia@gmail.com. Dr. Emily Stumpf is a performer and pedagogue based in Columbia, SC. 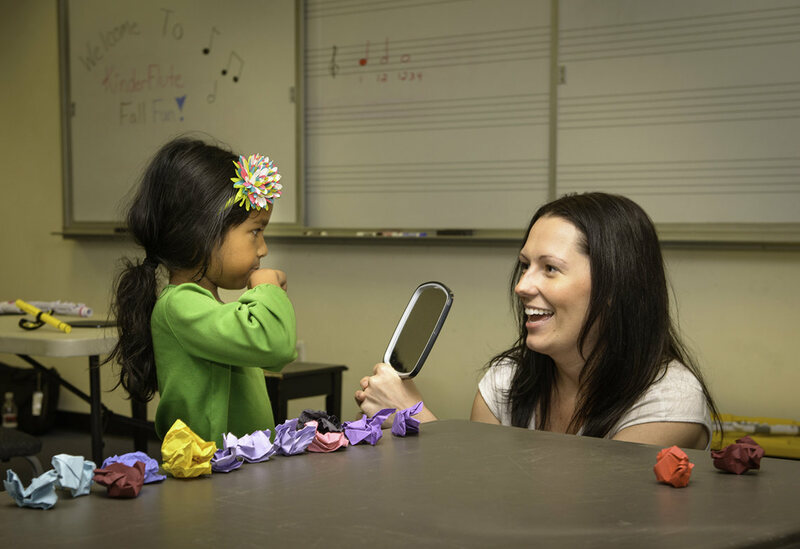 She has experience working with students of all ages and is committed to creating a fun, positive and enriching musical experience. 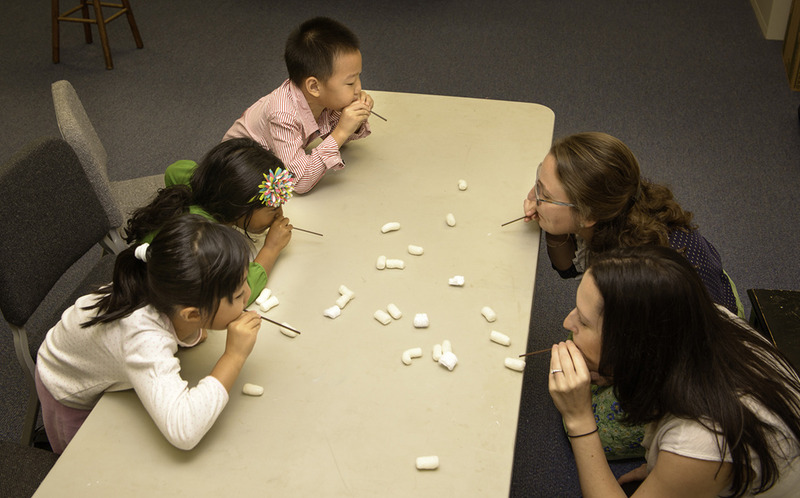 Children ages 5 to 8 explore the flute and flute playing in group classes. Give your child a head start in music making!